The uptake of EverGreen Agriculture has seen an increase in food security in homes, a reduction to the demand for labor and diversified household income. EverGreen Agriculture provides the incentive to achieve sustainable development in Africa. 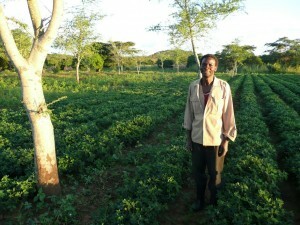 The integration of trees in food-crop systems will be essential to future development. Evergreen agriculture recognizes an evergreen revolution that increases productivity in perpetuity without causing ecological damage. Agroforestry is one of mankind’s best hopes to create a climate smart agriculture, increase food security, alleviate rural poverty, and achieve truly sustainable development. Modern agroforestry is delivering measurable improvements in the output, cash income and lives of smallholder farmers and reinforcing their ecosystems against climate change. Mainstreaming the practice into national development plans will reap billions of dollars’ worth of economic output and this would have a positive impact in a country’s Gross Domestic Product.